There may be several reasons why you’re thinking about switching to solar energy to power your home. Financial considerations like incredible monthly and long-term savings and environmental concerns may have swayed your decision in favor of going solar. But did you know there’s even more reason to make the switch today? The Solar Tax Credit has been extended, giving you the opportunity to save 30 percent in taxes. As a hardworking taxpayer, you can claim 30 percent of qualified expenditures for the solar setup of your dreams using the Solar Tax Credit. Imagine providing for all your electrical needs, including solar pool heating, for your entire home with the peace of mind that you’ll no longer have to worry about inflated end-of-the-month billing surprises during the summer months. And of course, you’ll also feel good about going green. Total renewable energy is the future and you can be a part of it today by taking control of your energy needs. The Federal Tax Credit, or solar rebate, is good for expenditures related to the solar installation, including labor and equipment and off-site prepping, assembly or original system installation. Also note that if the Federal Tax Credit exceeds tax liability, the excess amount can carry over to the following taxable year. The American Recovery and Reinvestment Act of 2009 got rid of the previous limitation on the use of credit for these kinds of projects. The homeowner solar rebate deadline, however, is fast approaching, so don’t wait to act on this once-in-a-life opportunity. When the 30 percent solar tax rebate lapses, it will be reduced to 26 percent. So, it’s important to act early. While the solar tax credit deadline is quickly approaching, the benefits you’ll enjoy will never expire. Think about the extra monthly savings you’ll have thanks to the power of solar. 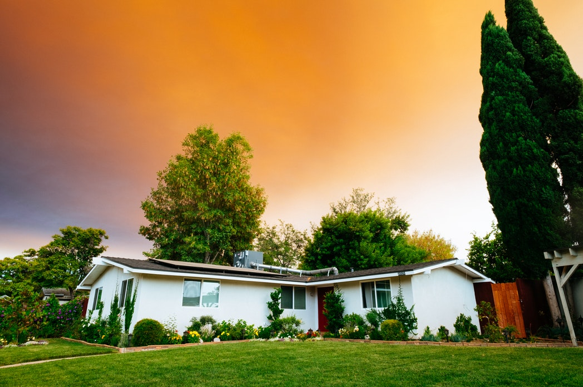 Your home’s property value will also likely increase due to your savvy solar investment. The environment will also thank you for your contribution. Here are some other key features of the Solar Tax Rebate: There is no maximum credit for system placed in service after 2008. The system must be placed by 2021 (for lower credit amount). The home does not have to be your primary residence. If Sacramento area residents want to completely change the way they power their home then Aztec Solar is ready! You can calculate exactly how much you’ll save with solar by going to utilitypaymentsavings.com. And the rest of the process is just as easy. Simply set up an appointment and we’ll follow that up with a pre-site meeting. From there, we’ll discuss the details, including permits and scheduled installation times. Saving money couldn’t be easier or more advantageous than it is today with the 2018 Solar Tax Credit!